Louise Riotte has taught thousands of gardeners how to plant and harvest in harmony with the astrological calendar. 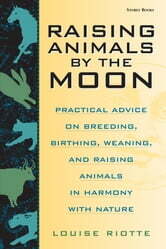 Now she offers her expertise to help improve the health and well-being of your domestic and farm animals. In her endearing style, Riotte provides practical animal-care advice as she explains the astrological calendar sign by sign. Learn how to use seasonal changes to increase the milk production of your goats and cows, improve your hens' laying, judge when to shear a sheep, and properly time your animals' breeding. Her guide to the therapeutic properties of herbs will help you keep your animals healthy throughout their lives. 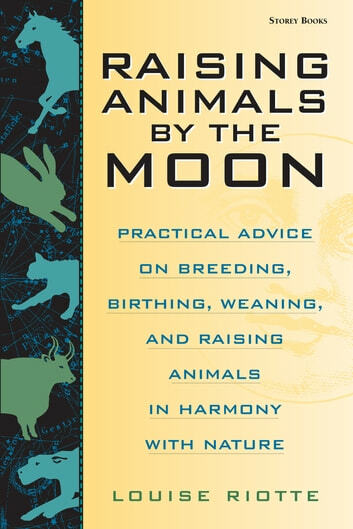 Raising Animals by the Moon is a delightful blend of whimsy and hardworking, practical knowledge that can come only from Louise Riotte.